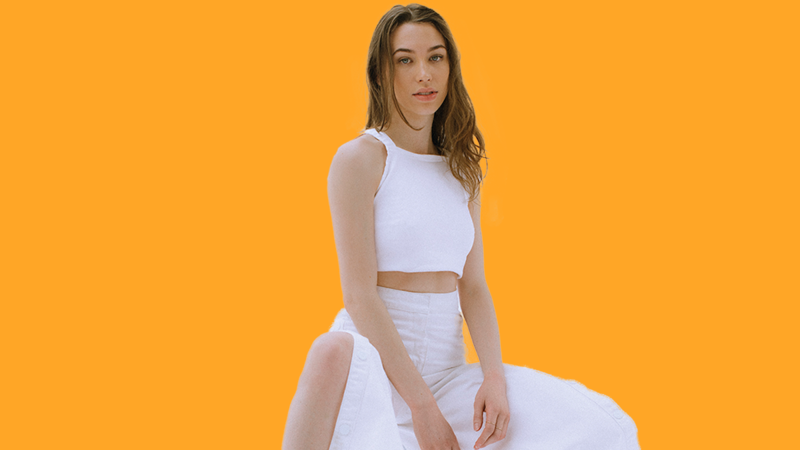 Turning YouTube fame into a sustainable music career isn’t easy – but it’s exactly what Sarah Close is doing. The 22 year-old singer from The Isle of Wight has been running a YouTube channel under her own name, where she has posted covers and original songs since 2010; Close has since amassed over 770,000 subscribers on that channel. Her debut EP, Caught Up, was released independently on March 3rd 2017 and was a collaborative release with Parlophone Records. Close then signed to Parlophone Records and released her single ‘Only You’ with them. In true YouTuber fashion, Close shared on her channel that she was dropped from Parlophone’s roster after the release of ‘Only You’ due to creative differences. Now back in the driving seat, Close released her huge bops ‘You Say’ and ‘Crazy Kind’ completely independently and has even bigger plans for 2019. Ahead of her show at London’s Borderline, where Close performed to a sold-out crowd mostly consisting of adoring teens, we speak about Close’s journey as an indie musician plus sensible stuff like trusting your gut and how to manage a budget. ORANGE!!! I just feel like my aura is orange, it’s bright and playful and orange juice is so nice. I would def be orange. What got you into music? Did your upbringing influence your relationship with music at all? I’m not sure, because I have always been singing and wanting to be involved with music for as long as I can remember. My parents both played in a band for a hobby when I was a kid, so I grew up surrounded by noise and instruments. It was ‘Naive’ by The Kooks that made me pick up a guitar when I was 14 and start teaching myself though. I’m told you have been writing songs since the age of 6 – do you remember what the first song you wrote was about? Well I recorded a bunch of songs – which I’m pretty sure I just made off the top of my head – onto a cassette tape (I had an ELC toy that had a microphone attached to it). So it wasn’t classic songwriting. I wrote my first proper song at fourteen just after picking up the guitar, it was called ‘Yesterday’ and was a love song wishing that we could go back to yesterday before the relationship turned sour – which is jokes because I hadn’t even kissed a boy at fourteen haha. I think my lyrics are very conversational and the sound is upbeat and pop-y. I want what every songwriters wants: to write songs that make people feel something. Those moments when you listen to a song and think ‘wow these lyrics are so ME rn’ and you kinda wanna cry cause you feel like the song was written for you. Those are special. Also I try to be thoughtful about my lyrics, and bring about some confidence… like in ‘You Say’. That song could have been super mopey and down about the person you like not wanting you back, and I’ve written those songs before, but I’d rather the people who listen to it feel empowered and good to be like, ‘hey, I’m not winning in this situation and you’re bad for me so byeeee!’ I want to make people feel good, I want to make people dance, I want people to stick on my songs and sing to them in the car and the shower. If I can hit one of those things in a song, then I’m happy. Your first EP Caught Up was released by your own label and Parlophone Records, but you’re now completely indie – what inspired your decision to part ways with Parlophone Records? It just wasn’t a perfect fit for both of us. The label wanted to take a different route with their acts and who they work with and I wanted to be with a team who felt really passionate about my music and everything I want to do and achieve. The parting was painless and friendly, which was a blessing. I know way too many artists who have been screwed over coming out of a deal, but I was able to carry on like nothing had changed, apart from I was back in the driving seat! Is there an album or another EP coming soon? How would you say your artistry has developed since releasing your first proper single ‘Call Me Out’ in March 2017? I think I’ve become more grounded in my songwriting style and knowing what I want to sing and write about and I’ve become better at not feeling scared to voice my opinion in the studio. My visuals are way more focused and I’ve been involved in directing all my music videos I’ve released this year. I learnt so much last year and this year I’ve felt really happy with everything I’ve been putting out into the world. Carole King, Kirsty MacColl and Joni Mitchell have been inspiring me since I was a little girl. I studied Frida Kahlo when I did Art GCSE; she is, and continues to be, so fascinating to me. Banks gives off this incredible energy which I hope someday I’ll have. HAIM are the coolest girls ever and watching them play a couple years ago made me fall in love with them, you don’t see many women doing sick guitar solos. I find Rihanna inspiring cause she has built an empire and I love that. Vera Blue is an artist I’ve just found whose stuff I love. I’ve been obsessing over LÉON since she first put out music and I adore her. Finally, I think Raye is incredible as an artist and a songwriter. I want more women behind the scenes! More female producers, more female managers, more female A&Rs. We need more women on the festival line ups, more women being acknowledged at the award shows. It’s changing… slowly, but we need to keep driving it forward and inspiring the younger generation of girls – they’re gonna be the ones to change it. I used to get very frustrated with people sugar-coating things for me rather than saying the truth to my face! Once someone very instrumental in my career told my boyfriend what they thought of something instead of telling me, which really hurt actually – I felt so undermined. I hate that female musicians are constantly picked apart in the news and on social media for how they look, who they’re dating etc. and how we get pitched against one another as if we can’t all co-exist in the same sphere. I hate that, really hate it. Following on from what I just said, you don’t see male stars get the same attention in the news or on social media. I find it toxic if I think about it too much or get too deep in to it, I just stay aware of not participating in the same behaviour and calling out anyone when I see them do it. If you believe in something, if it feels right to you, then it is. Trust your gut instinct and stay true to it. So many people will say little comments about your songwriting, your style. Don’t let them get in your head. It also really helps to find a big sister figure in this industry; find someone who is experienced, who you can trust and talk to about anything that’s troubling you. How do you fund your music releases and music videos? What advice would you give to aspiring musicians who want to make a living off their music? You have to be smart and budget well. I’m a bit of a nerd and love making Excel spreadsheets, so I’m very on top of what I have going out and what I have coming in. I make all my visuals with my friends and we’re all starting out, so we keep costs low by pulling in favours and by all banding together with the belief that one day we will have the budget to do a 30k music video! There’s loads of grants and funds available to help support emerging artists, you just have to search around enough to find them and apply! I like how social media is changing the landscape for artistry. Jaden Smith dropping his project on IGTV, Drake’s artwork becoming a meme and starting a dance challenge, all these little things that are like the salt and pepper on top of a pasta dish. I think it’s exciting how it can be used to add to the conversation that you start with your music or to throw the traditional release structure completely out the window. When I die I want to leave the earth a better place than it was when I entered; I know I can’t change the world, but I will always do what I can to help move it forward. I want more people to be able to live their truth without fear or persecution, women to not have to question if they’re getting paid the same as the men, fathers to get as much time off as the mothers when they have a baby, homeless people to be given a hand up rather than a hand out, for police brutality to end and many, many more issues. Hopefully I can make some difference. More songs and some more shows to announce, I also have loads of stuff to come out surrounding Christmas which I’m preparing now and yes… it is weird getting in the Christmas spirit during October haha! Nice write-up and interview Hasan. 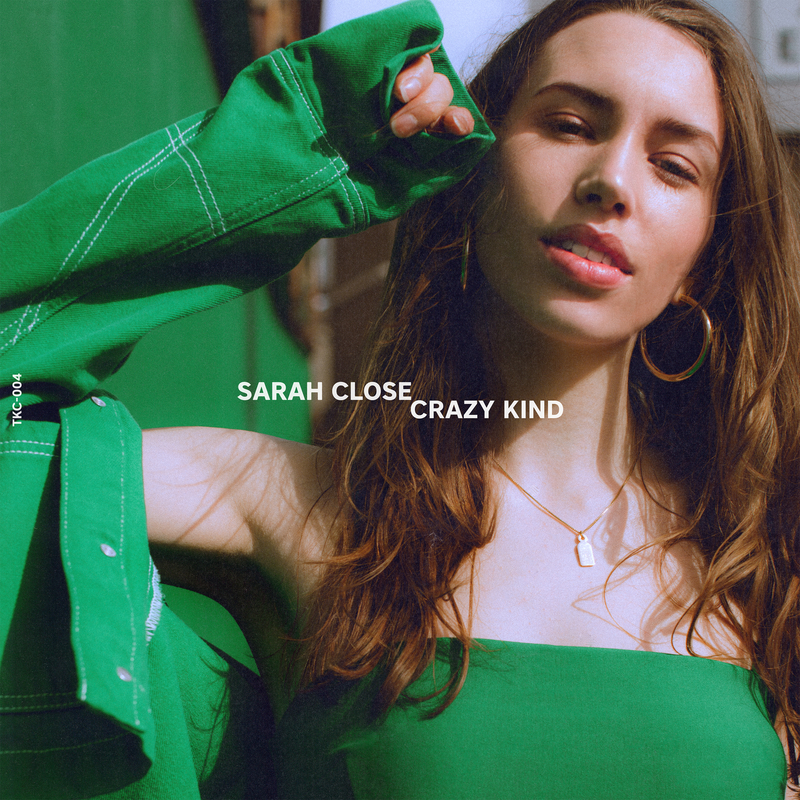 I wasn’t familiar with Sarah Close, but I like her sound, and she seems like a well-grounded and thoughtful young woman, with a healthy and realistic perspective about her career and the music industry.